The club is always keen to welcome new members. As part of the GNAS rules (national archery body of which we are a part) all beginners must undergo beginner training before being allowed to join a club and shoot. 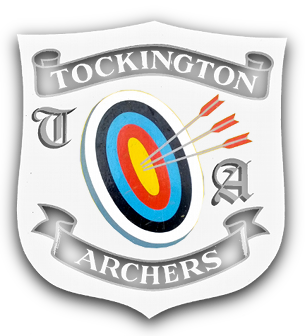 We run beginners’ courses periodically throughout the year and monthly “Have-a-Go” sessions so that it is possible to try archery before committing to a Beginners Course. Please see the Beginners section for more details. We now offer three types of membership: Full Member, Associate Member and Non-Shooting Member. In addition to these, we welcome affiliated non-members to shoot as visitors. Please note that we can only cater for a maximum of five visitors at a time. To avoid disappointment please contact the club secretary prior to arrival. Thank you. Archer must be affiliated to GNAS, either directly, or though another club. Archer must use their own shooting equipment. Bosses, stands, faces etc. are provided by the club. This consists of a £44 club fee as well as GNAS, GWAS and GAS fees. See the section on Archery in the UK for more details of these organisations. This is to cover consumables: target faces etc. Shooting visitors may shoot at any normal indoor/outdoor club shoot excluding: Toad Warwick competition evenings, End of Season shoot day and Summer Tournament day. Only recent beginners from the beginners’ course just held are allowed to compete. National competition only and only after helping set up in the morning. There is a separate fee for the Summer Tournament competition. Archers wishing to shoot on the next Sunday must register their interest on the Sunday Shooting page of the members area prior to Sunday. The fee for junior full members is only £20, with the club subsidising junior archery by paying the affiliation fees for all three organisations (GNAS, GWAS, GAS) out of club funds. The fee for junior associate members is only £10. Junior members are members who are aged 10 to 17. Note: Junior members under 16 must be accompanied at all times by a parent / guardian. A notebook to record attendance is kept in the club hut. Additionally, if you have completed our Beginners’ Course (and have joined the club as a full member) and are not yet in a position to buy your own equipment, you are welcome to continue using the club’s beginners’ equipment for a few weeks after the course has finished, but we ask you to pay £1.00 per session for this, plus the £1.00 shooting fee. If you are interested in joining the club then please feel free to come along to any one of our evening sessions, or see the Events page for details of our have-a-go sessions. If the application is for junior membership then please contact the club secretary. We also ask that all new members read and agree to abide by our constitution and safety rules.